Laura of Craftstorming got a little baby girl last saturday. I had the pleasure to met Laura back in april at the Paris sew social meeting. She`s such a sweet and nice lady and already showed a darling baby-belly. Back home, the idea grew to make her a little surprise babyshower, once the little girl comes into the world. I think it was Annika of Nähconnection who came up with it. I had some really busy weeks and I just did not feel like sewing. Normally, I love sewing sweet baby clothes. But this time I just didn`t feel it. Finally, my husband gave my a little reminder what this babyshower will be about. Come on Nina he said, it`s just about making a symbolic little gift to send her some love and wish her all the best with her newborn. And he was right. And here it is, my small something. 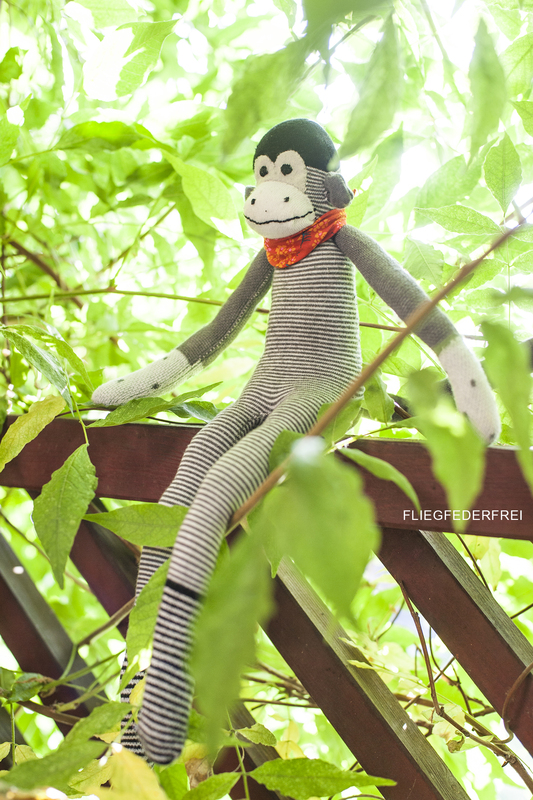 It`s a monkey and he`s made of socks (new one`s of course). I`ll send it to you, Laura, with a lot of love and good thoughts. I wish you all the best with your cute babygirl! 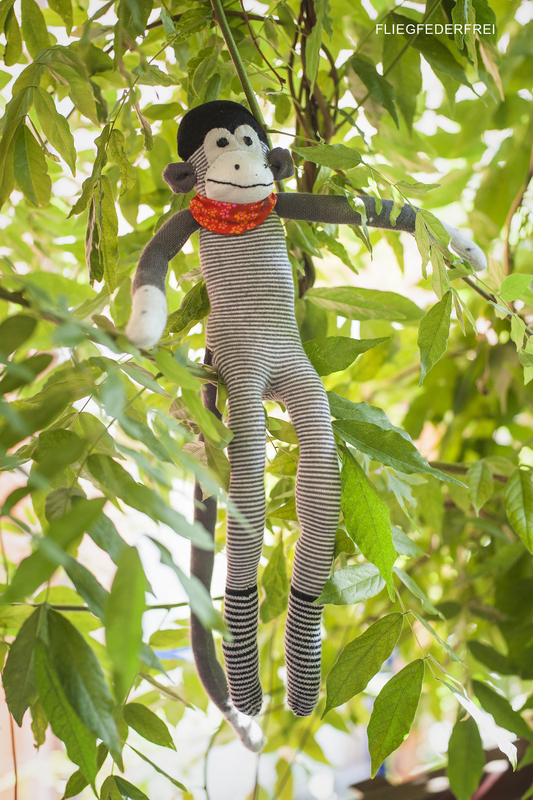 May, this little monkey be there when your girl needs someone to safe her from bad dreams, or if she needs someone to hold while exploring the world. May it be a fast friend. Check out all the other gorgeous gifts Laura will receive! That sock money is wonderful. Such a fun gift! thank you, annika for coming up with the idea for this babyshower! 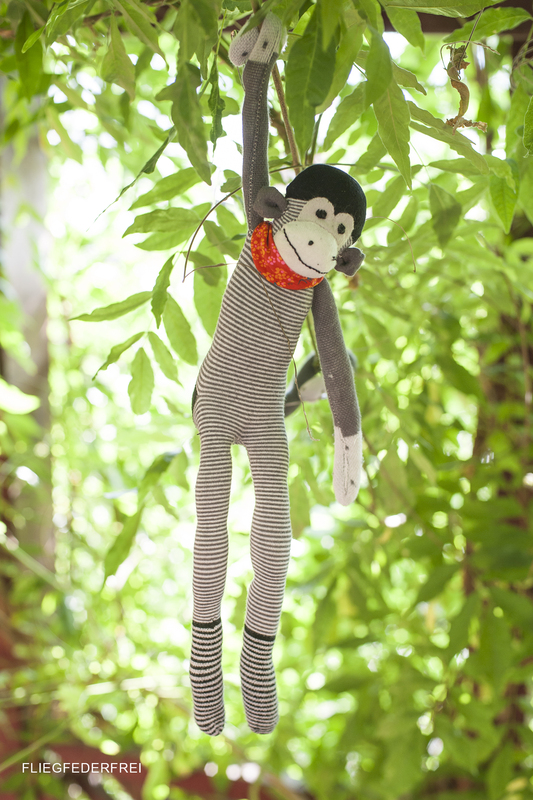 Nina, a monkey was the perfect choice! 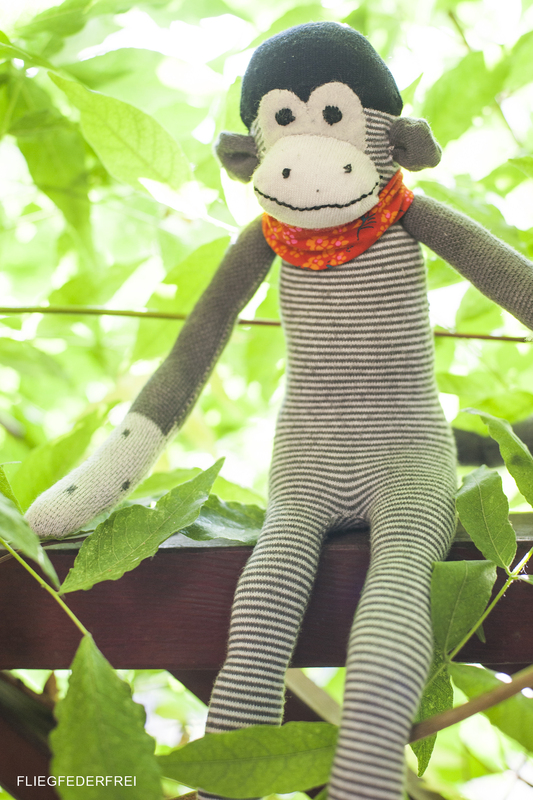 My younger son has a monkey that he’s been attached to since he was tiny (he’s been on my blog a few times 🙂 ) and I love that Willow will have her own monkey too. Thank you so much for making such an adorable gift, this was such a lovely surprise. This is too cute! And that scarf is the perfect finishing touch!